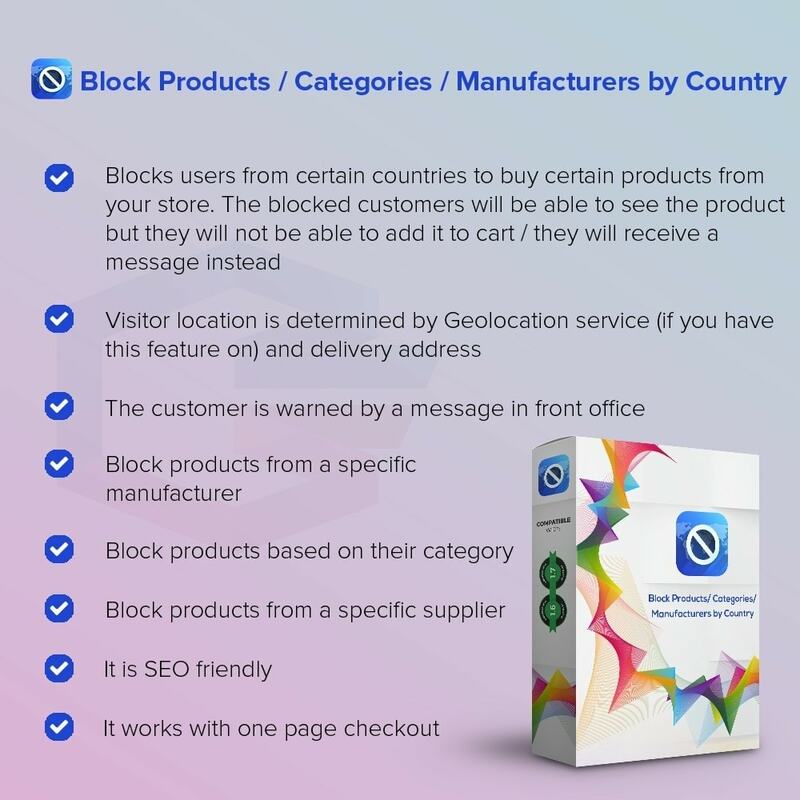 Maybe you cannot deliver certain products to some countries or for any other reason, our module gives you the power to block users from certain countries to purchase certain products from your PrestaShop store. You can block products by the following rules: individual product, category, manufacturer, supplier. It is very easy to use and it is SEO friendly as the product is still visible for the blocked countries, they just can not purchase it. - It works with Prestashop 1.6.x and 1.7.x. Upload all files and folders from folder /modules/ using a FTP client. II. Select the .zip file and upload module. Log into Prestashop Admin Panel and go to Backoffice -> Modules -> Content Management Modules and install “Block Products / Categories / Manufacturers by Country” module.